It’s the most wonderful time of the year — deadline season! Finish those applications you’ve been putting off because these deadlines are right around the corner. The Rising Star Award, established by LDI/LiveDesign magazine, is given annually to a young professional at the beginning of their career. The award recognizes excellence and artistic achievement in the areas of scenic, lighting, sound, and projection design, or the convergence of these design disciplines. Recipients must be in the first four years of professional work following the completion of his or her highest degree. Nominate now. This mentorship opportunity provides professional mentoring to students and early career professionals from underrepresented populations in the live entertainment industry. Twelve mentees will be accepted and paired with a mentor working professionally in a similar field with a similar background. Apply here. 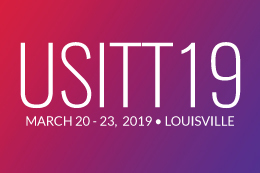 Work alongside professional stage managers while coordinating and managing the most high-profile events at USITT19 like opening night/Keynote, New Products Showcase, Tech Olympics, and more. Apply here. The Wally Russell Professional Mentoring Award is presented in partnership by USITT and the Wally Russell Foundation. The award honors someone who embodies the guiding hand that Wally Russell provided to many young professionals. This award is possible through The Wally Russell Foundation, Philips Strand Lighting, and IA Stage. Nominate here. The Young Technicians’ Forum (YTF) brings together talented students with established shop heads, technician/artisans, and designers for a review and discussion of the student’s work. Similarly, the Young Designers’ Forum (YDF) is where professional designers and directors review and discuss students’ work from those related fields. Apply here. USITT Fellows are offering an opportunity to two Early Career Members to meet one-on-one with a seasoned professional in their field of interest. This mentor would work with the selected ECMs during USITT19. They will talk with you about your career, where you’d like to go next, introduce you to other Institute members and vendors, and provide a leg up on your career ladder. Apply here. 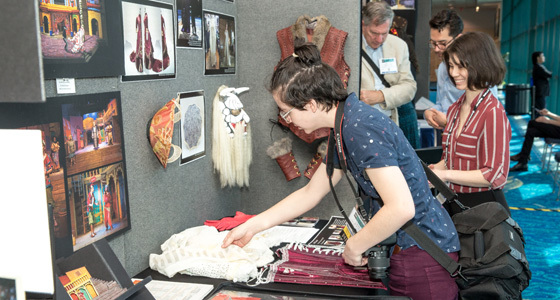 The Student Ambassador Program is an exceptional opportunity for students to interact with renowned international designers and technicians who are attending USITT19. Three student members will each be paired with three visiting international guests with similar areas of focus to encourage international networking between student designers/technicians and our global colleagues. Apply here.